The start of 2017 brings with it a new year of skywatching, and lunar enthusiasts are gearing up for a stunning lineup of full moons. But, where does the tradition of full moon names come from? 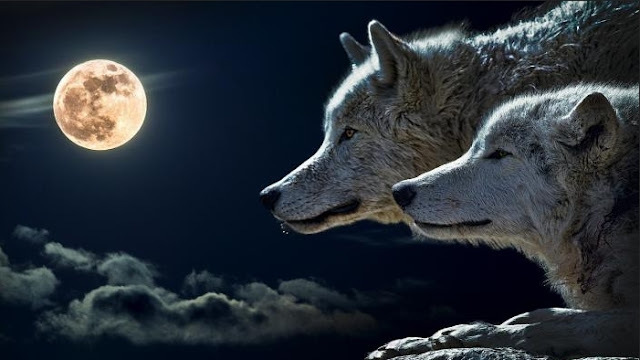 Full moon names date back to Native Americans of a few hundred years ago, of what is now the northern and eastern United States. To keep track of the changing seasons, these tribes gave distinctive names to each recurring full moon. Their names were applied to the entire month in which each occurred. European settlers followed their own customs and created some of their own names. The Full Wolf Moon. Amid the cold and deep snows of midwinter, the wolf packs howled hungrily outside Native American villages. This moon was also known as the Old Moon or the Moon after Yule. In some tribes it was called the Full Snow Moon, but most applied that name to the next moon. January Moon Names: Man Moon (Taos). Joyful Moon (Hopi). Avunniviayuk (Inuit). Quite Moon (Celtic). Ice Moon (San Juan). Cold Moon (Cherokee). Ice Moon (Neo-Pagan). Flying Ant Moon(Apache). Big Cold Moon (Mohawk). Cooking Moon (Choctaw). Strong Cold Moon (Sioux). Little Winter Moon (Creek). Her Cold Moon (Wishram). Cold Meal Moon (Natchez). Moon After Yule (Cherokee). Wolf Moon (Medieval English). Strong Cold Moon (Cheyenne). Quiet : Dark, Wolf : Full (Janic). Great Spirit Moon (Anishnaabe). Whirling Wind Moon (Passamaquoddy). Wolf Moon, Old Moon, Winter Moon, Yule Moon (Algonquin). Responses to "Happy Full Wolf Moon 2017: What You Need to Know About January's Full Moon"